SHAPE designed a baseplate that would fit with all the key features of the camera. Built small and lightweight, this baseplate is a perfect solution for this PXW-FS5. Included with the baseplate; one (1) ¼-20 and one (1) 3/8-16 captive screw to secure the camera’s position in translation and rotation so it won’t move. At the top of the baseplate there are rubber pads so that the camera doesn’t sit directly on the aluminum. 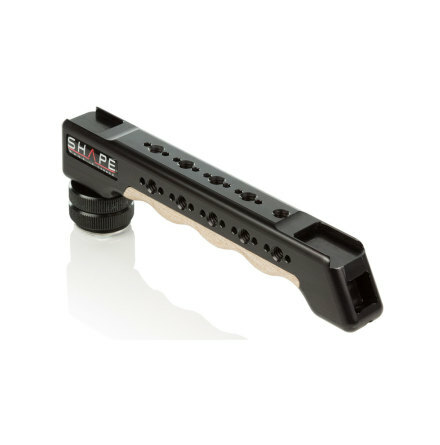 The baseplate fits 15mm standard rods, and the rods are secured with a red ratchet knob screw. On the side, you have ¼-20 threaded holes for mounting options. Under the baseplate, we added four (4) ¼-20 and two (2) 3/8-16 threaded holes that allow you to attach a tripod plate. To reduce the weight of the baseplate, we removed excess aluminium from the bottom of the plate during the machining process. We also designed a removable support bracket for a METABONES® adapter (FS5MA) that can be added on the baseplate to support the weight and remove stress to the camera lens mount. Fixed with 2 screws in front of the baseplate, it can be removed when not needed. For a precise positioning, we designed the bracket with a 3mm vertical adjustment to make sure it’s well positioned for the best support. 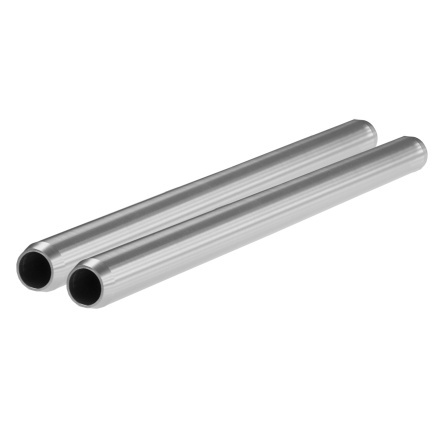 The baseplate includes a set of 15mm 10 inch rods. It’s perfect for drone and gimbal application, and it’s designed with a lightweight system for mounting any standard 15 mm accessories. Also compatible with the Sony PXW-FS5M2. 1/4-20 treaded holes for side mounting. 3/8-16 and 1/4-20 captive screw to secure the camera position both rotation and translation. 4x 1/4-20 and 2x 3/8 holes under the baseplate for tripod mounting. Rods are positioned to reach optical center. Rubber pads on top of the baseaplate to cushion camera base. Lightweight and solid CNC aluminum. 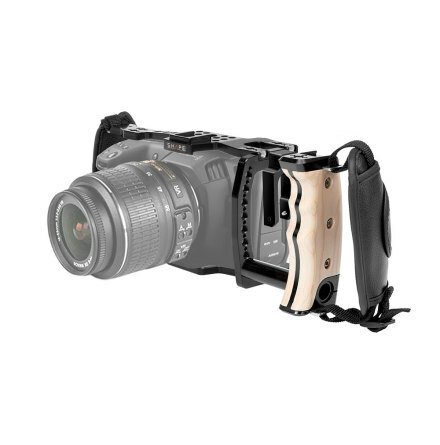 Removable bracket for METABONES® adaptor can be installed (FS5MA).